Like all states, Alabama bases custody decisions on the best interests of the child. 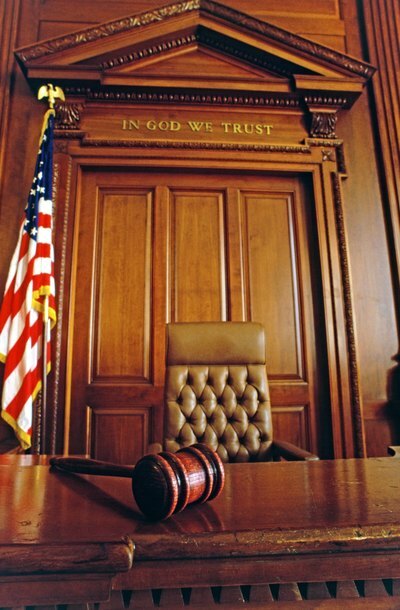 Judges must consider the goals of the Alabama state legislature when making custody decisions. These goals include strengthening the family, improving the child's home environment and promoting the care, protection and discipline of the child. Alabama law also allows husbands who have been abandoned by their wives to have custody if the children are over the age of seven and the man is otherwise a fit parent. Alabama law requires all parents seeking a divorce to file paperwork addressing child custody arrangements. Other petitions for child custody may also be filed in family court in the county where the child currently resides. Until the court recognizes the father as the child's legal father, he cannot file for custody. If a custody order has already been issued in your case, you must file a petition for modification demonstrating that there has been a change in circumstances warranting the change. The family court clerk has the necessary forms pertinent to various circumstances. Go to the court and request the paperwork that applies to your case. Fill out the forms, return the paperwork to the clerk, and pay the filing fee. The clerk usually will schedule a preliminary hearing, and at the hearing, the judge will make initial determinations on temporary custody, mediation and child experts. At the preliminary hearing, the parties will be advised of how the judge wants the case to proceed. If evidence of child abuse exists, bring it to the hearing; the judge may award you temporary custody to keep the child safe. Otherwise, the judge will likely order you both to attend mediation and hopefully resolve the issue on your own. He may also appoint a guardian ad litem – an attorney hired to represent the best interests of the child. The guardian ad litem may investigate, file motions and make recommendations to the court. Judges also have the authority to appoint psychologists and other child experts to evaluate and determine the child's emotional state. You must comply with any preliminary orders issued by the judge and cooperate with court-appointed child experts and advocates. Failing to do so could undermine your case. If you are unable to settle your case, it will be scheduled for trial. At the trial, you must present evidence indicating why it is in your child's best interest to live with you. This evidence can be written documentation, computer printouts, photos or any other tangible evidence. You may also call witnesses. Good witnesses can testify to your skill as a parent or give specific examples of problematic behavior they've observed first-hand in the other parent. You might wish to consider hiring expert witnesses such as social workers and psychologists to testify on why a particular custody plan is in the child's psychological interest. After hearing evidence, the judge will issue an order. Failure to comply with the custody order may lead to a contempt of court citation. When building a child custody case, the goal is to present to the judge facts and evidence to support the assertion that the child's best interests are better upheld by awarding custody to you as opposed to your child's other parent. When determining the child's best interest, the court weighs a number of factors, which are found in your state's child custody statutes. In preparing for the case, you and your lawyer will engage in the civil discovery process, which may include the appointment of an independent third-party guardian ad litem. In the family court setting, which is heavily fact-driven, the judge will require you and the other parent to present as much information as possible about the child's life and surroundings in order to make a fully-informed decision. In certain limited circumstances, child custody can be awarded to grandparents. However, obtaining this arrangement in South Carolina is a difficult process, as the parents must first be deemed unfit and either voluntarily or involuntarily relinquish custody. The process begins with the filing of a motion, followed by a court hearing and the presentation of evidence that will lead the court to a decision on whether awarding custody to the grandparents is in the child's best interest.